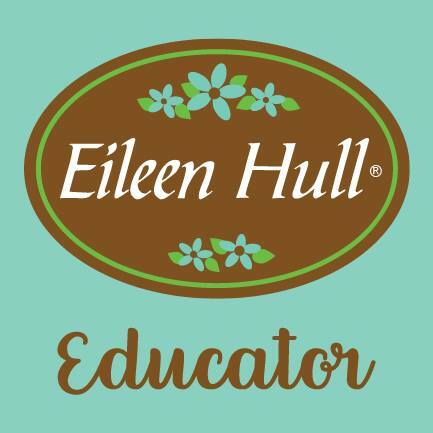 It's my turn to host the Friday Focus over at Frilly and Funkie and it's all about Tim Holtz Stencils. Haha... I may know a thing or two about this topic. I thought I would use this opportunity to get some of my Christmas Cards done. So, I give you 5 cards to check out. 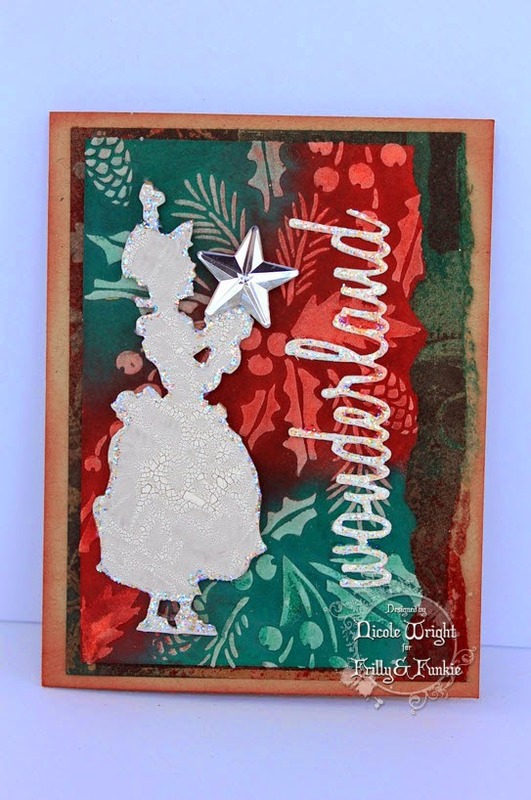 But you can head over Frilly and Funkie to see each card with a mini tutorial on how I used my stencils. 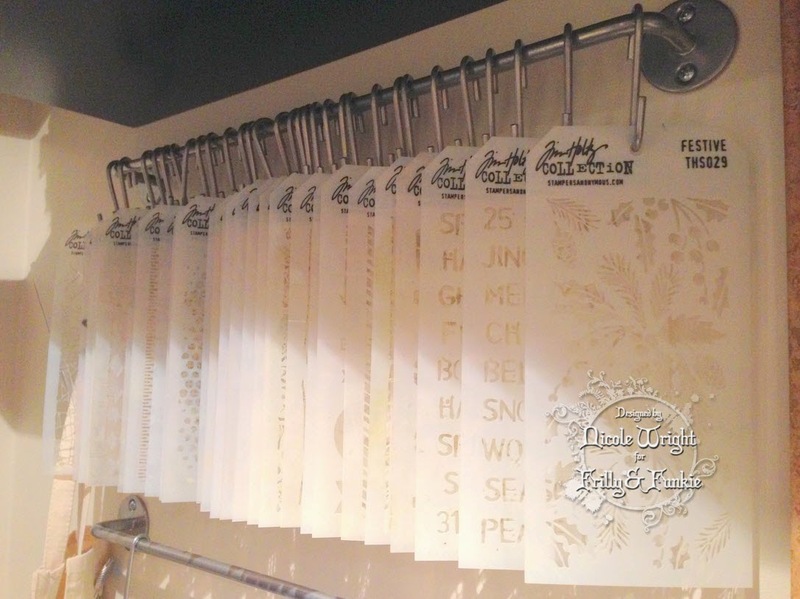 My collection of Tim Holtz Stencils. 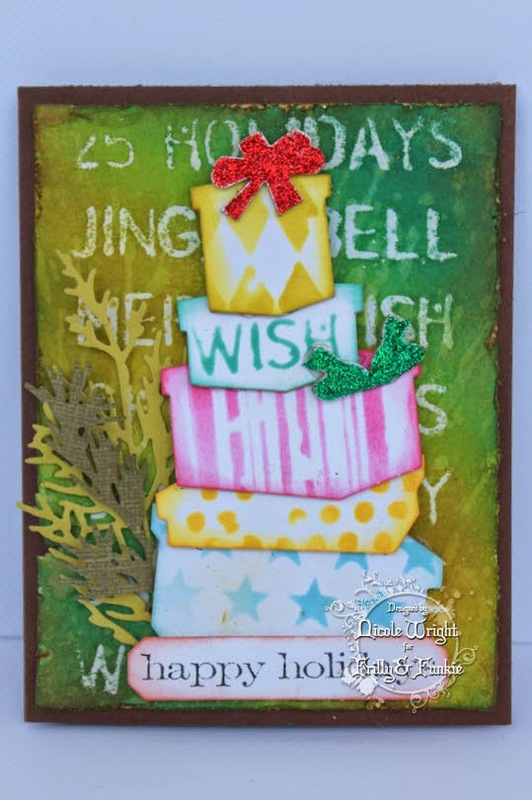 Stenciling with Alcohol Inks and Blending Solution. 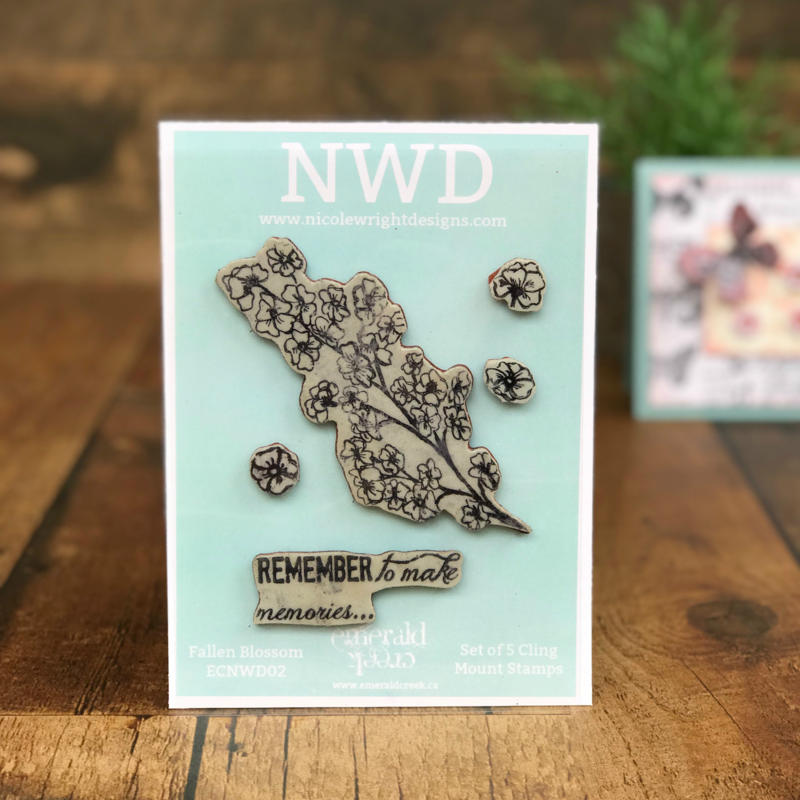 Creating a resist with embossing. Texture Paste and Distress Spray Stains. 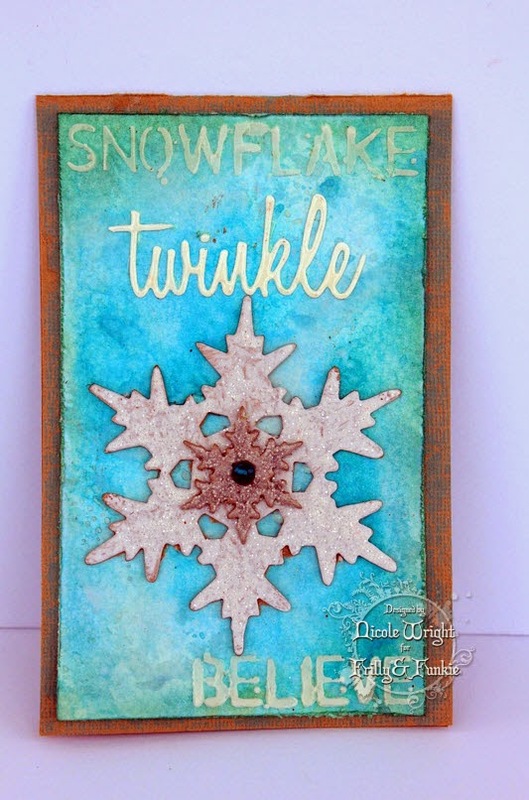 This Friday Focus is all about Tim Holtz Stencils. 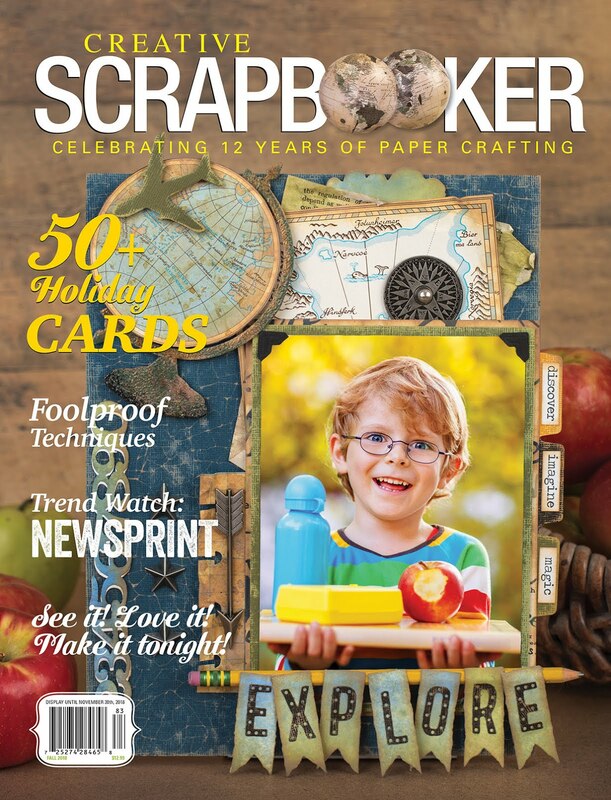 During the next two weeks Linda is generously offering an additional 15% discount on all Tim Holtz Stencils at The Funkie Junkie Boutique. 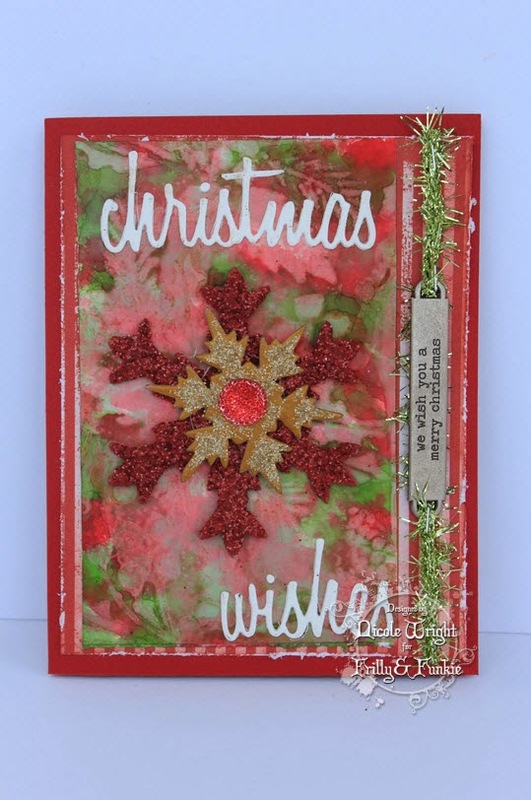 I will be sharing my Christmas Cards with the Compendium of Curiosities 3 Challenge . And guess who's this rounds goodie giveaway... The Funkie Junkie Boutique. YAY! Brilliant Nicole, love what you did on each one of them, what a great set of cards!! What cheerful Christmas cards! Very nice job on your Layered Stencil technique, it really sets a nice background for your primary images! I love all of the cards, but I think I like the pile of stenciled gift boxes the best. But what takes my fancy the most is how you store your stencils! What a beautiful array of Christmas cards! 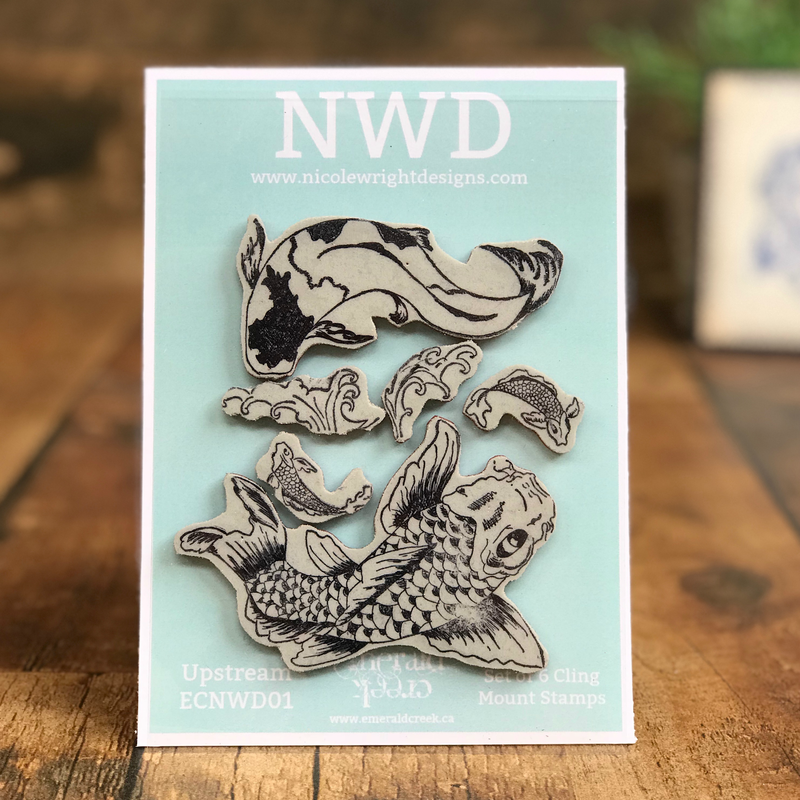 LOVE each one, and the embossing is just wonderful! 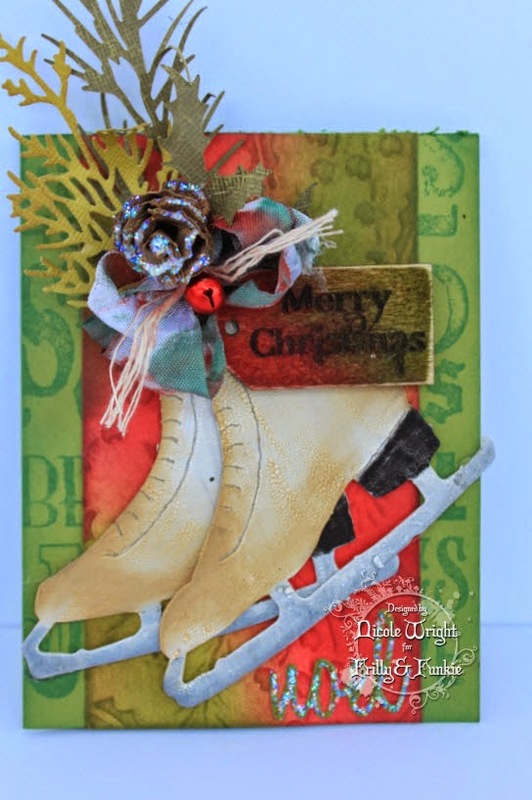 Thanks so much for playing along with us on the Layering Stencil Embossing Challenge at CC3Challenge! Stunning cards Nicole and would be so hard to pick a favourite. 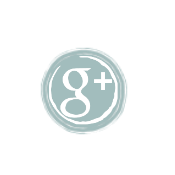 Must pop over and check out your mini tutorials. 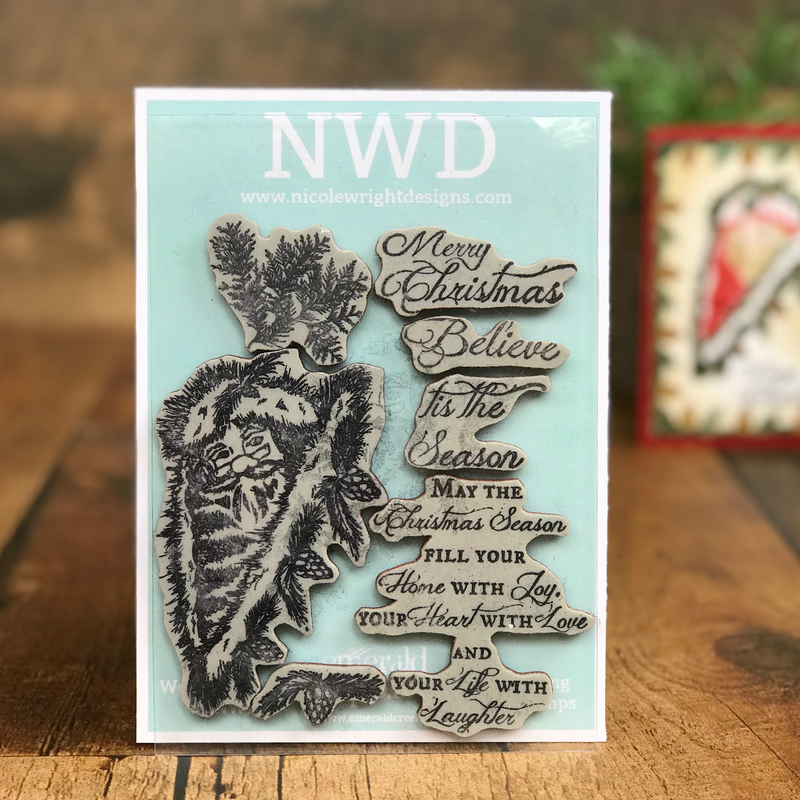 Awesome Christmas cards... your stencil/embossing work is amazing! 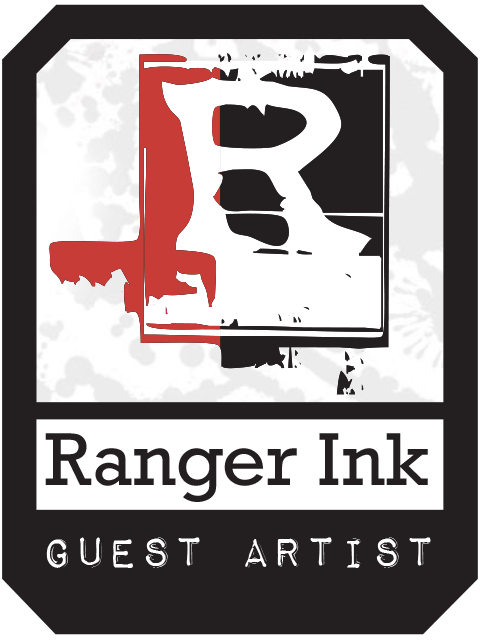 Those stencils are just so much fun !!! Love them.. have to work on my cards this week end.. you have given me some ideas.. way to go..
All of your cards are so great!!! 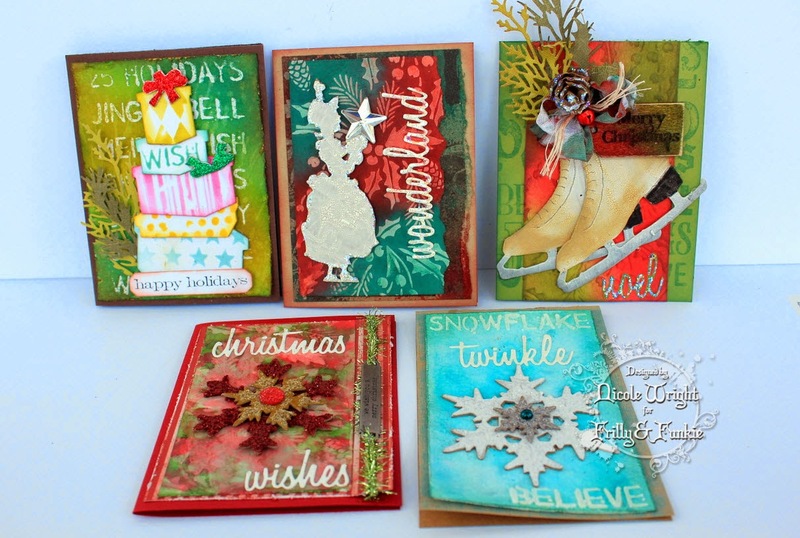 Beautiful cards, Nicole, especially the embossed Layered Stencil. 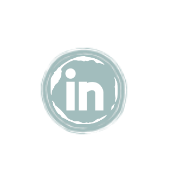 Thanks for playing along with us! Those are wonderful! I really do need to get those word dies.... sigh. Thanks for sharing these with us at CC3C!